Let’s be honest, nobody is going to care about anything we write on this blog today or tomorrow, because March Madness is king and we all can’t wait to watch as our brackets are busted in less than 24 hours. So, in lieu of anything mindful, challenging, or fruitful, let’s just think of various things that Pittsburgh Penguin Phil Kessel (somehow one of the greatest American hockey players to ever lace up his skates) looks like, shall we? Once more, here’s Phil in all his glory for reference. What does he look like? An alternate timeline Doc Brown from Back to the Future II if Marty severely fucked up the space time continuum. A young Art Garfunkel if he ate Paul Simon. A bouncer at a failing sports bar. The “before” picture for a Rogaine ad. The “before” picture for a Hydroxycut ad. The “before” picture for a methadone clinic. The “before” picture for a last resort body odor treatment. Vincent Schiavelli, aka “that guy” from every single 80s movie ever made. A failed wrestler from Ohio Valley Wrestling. Did we miss any? Let us know on Twitter! 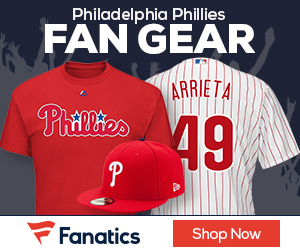 Oh yeah, and buy Jake Arrieta merchandise from the Fanatics. Click through the banner below. Daddy needs his medicine. ← Special guest columnist OJ Simpson: Give America what they want, more OJ!